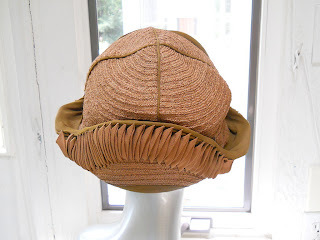 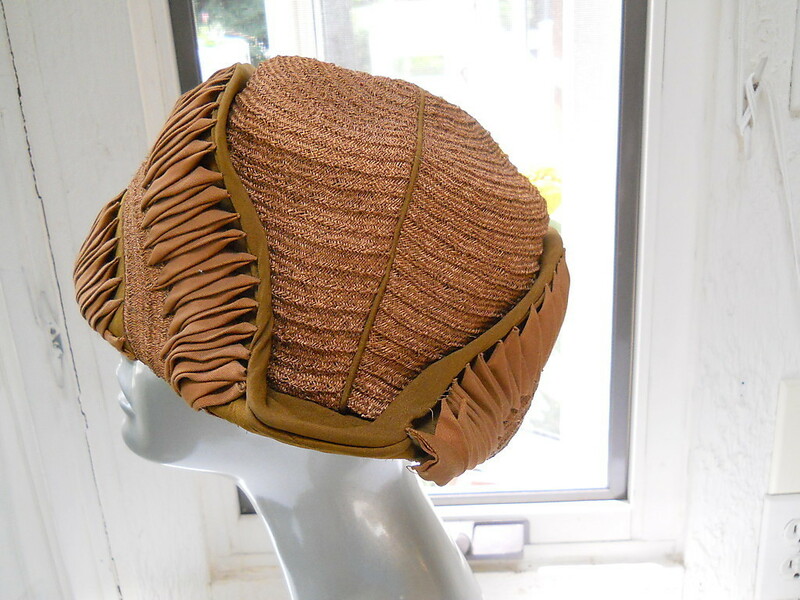 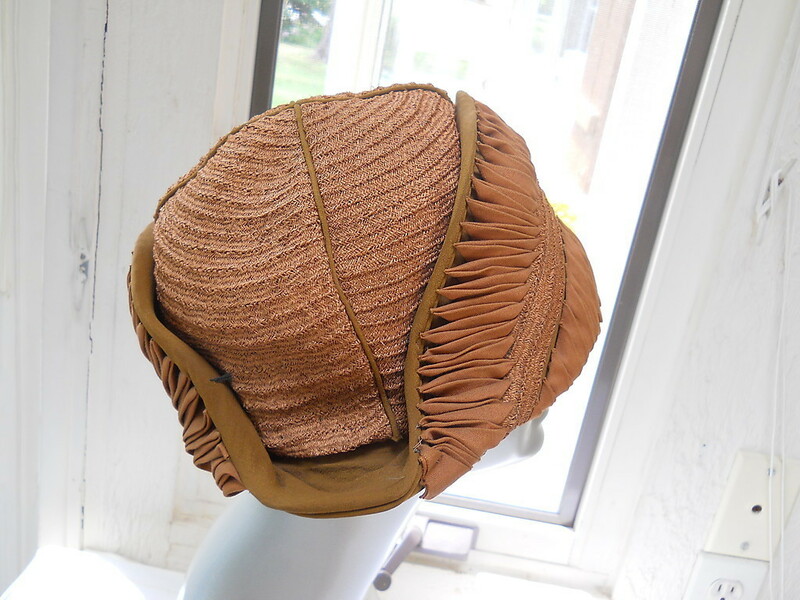 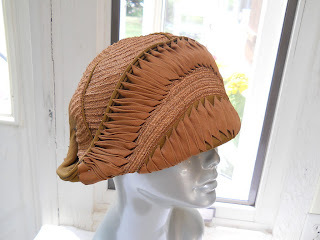 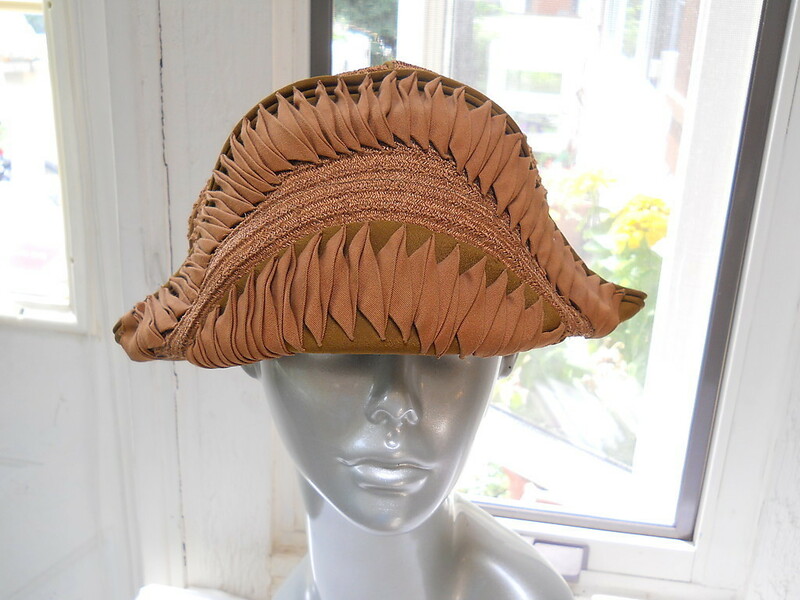 Here we go EBAY... great 1920's hat ... it is not marked, i think maybe French ... body is intricate linen ... fits a 23" head GREAT !!! please zoom inside of hat, at back of head, has alittle wear .... condition is SUPER excellent... please view, all the lovely hats, i have at auction ....i am happy to combine....and i do a good discount, on combined shipping...Check out my other items! 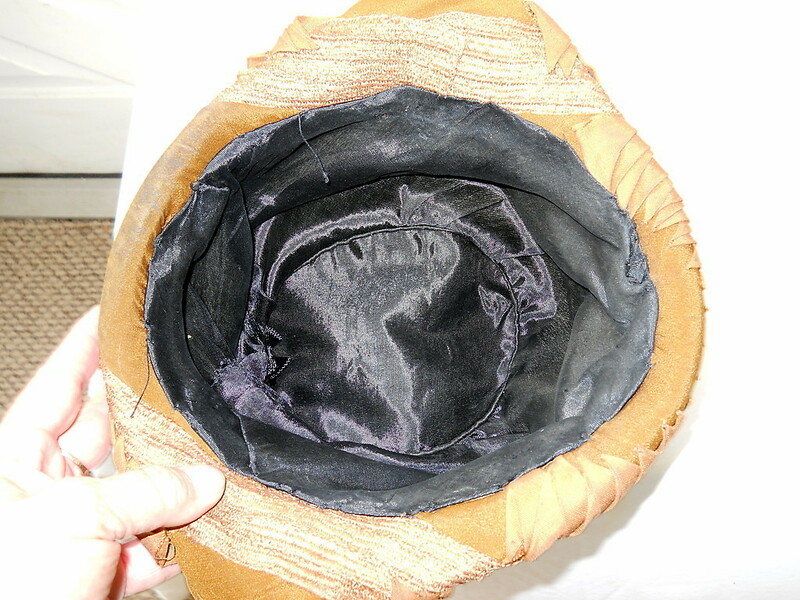 I can't decide if it was supposed to look like a fortune cookie or what happened after Captain Hook tried to put his own hat on and Smee tried to fix it. Any other ideas?